Cloves are the unopened flower buds of the evergreen clove tree. The buds are picked by hand and dried until they turn brown in colour. 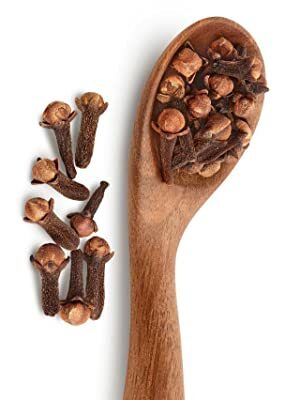 Cloves contain significant amounts of an active component called eugenol, which has been the subject of numerous studies and said to have many health benefits. 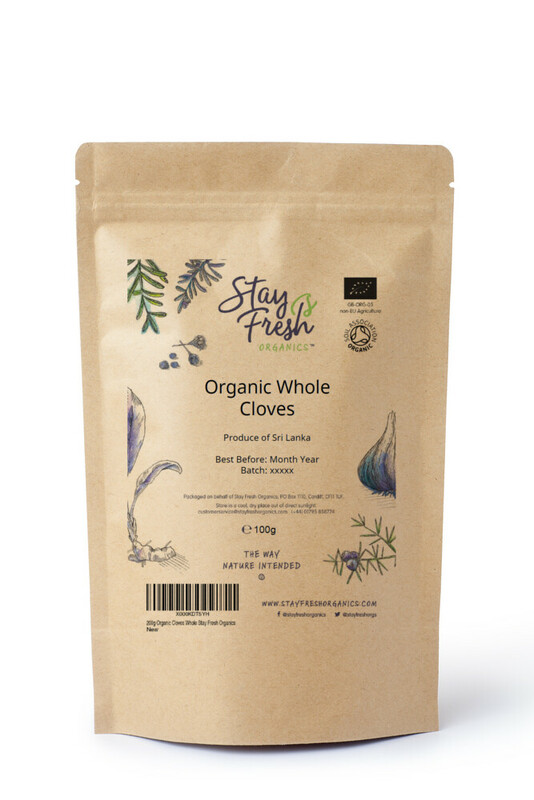 Once the cloves are dried, they are hand-packed into an eco-friendly, re-sealable pouch to Stay Fresh for longer. Our packing environment is SALSA certified and tightly regulated to meet the highest hygiene standards. 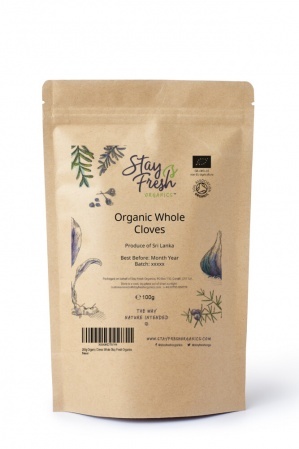 StayFreshOrganics and this product are certified organic by the Soil Association. Energy 47kCal, protein 3.27g, fat 0.15g, carbohydrates 10.51g, dietary fibre 5.4g. Minerals: Calcium, iron, copper, magnesium, manganese, phosphorus, zinc, sodium, potassium, selenium.